Temple of Literature (Văn Miếu – Quốc Tử Giám, 文廟) was established in Hanoi, Vietnam in 1070. The temple is located in old town Hanoi along with many other items of interest within easy walking distance (see Curious Cat Hanoi Tourist map). 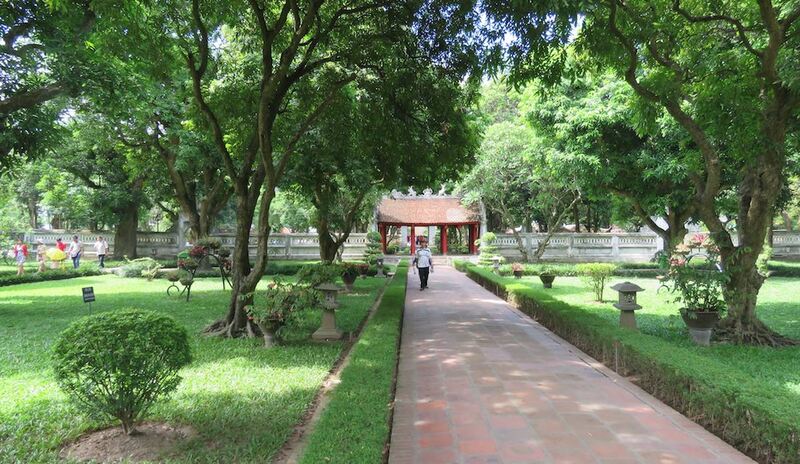 The temple grounds are enjoyable and provide a respite from chaotic Hanoi, and the history is interesting. In 1076, Vietnam’s first university, the “Quốc Tử Giám” or Imperial Academy, was established within the temple to educate Vietnam’s bureaucrats, nobles, royalty and other members of the elite. The university remained open from 1076 to 1779. In 1802, the Nguyễn dynasty’s monarchs founded the Huế capital where they established a new imperial academy. 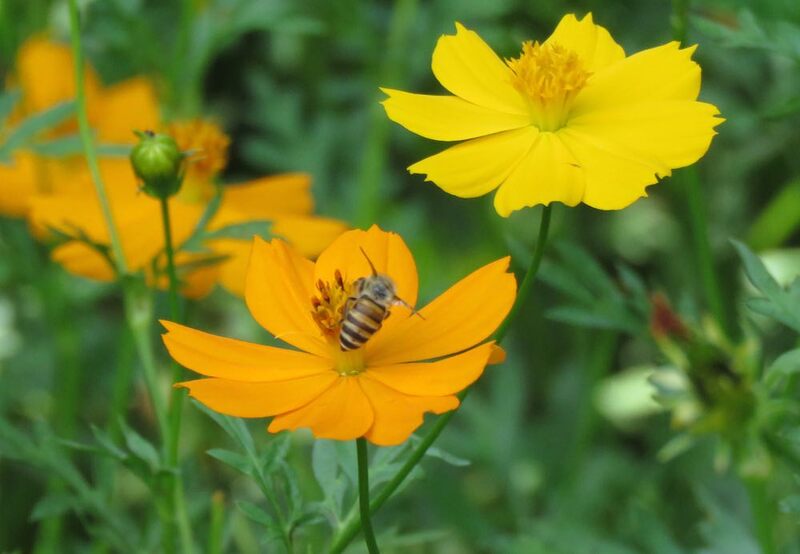 Bee on flower in the temple grounds. The temple layout is similar to that of the temple at Qufu, Shandong, Confucius’ birthplace. It covers an area of over 54000 square meters.